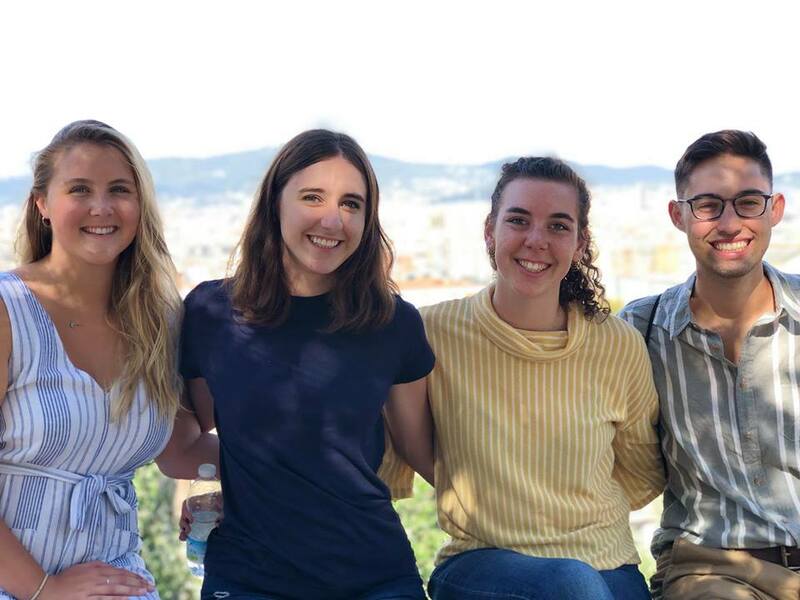 Emily Jewell, Taylor Pugh, Maria Gulan and Thomas Hermsen in Barcelona, Spain. Photo from Facebook. Every student has a different experience when returning to Butler after studying in a new country or city. Last Friday, the Center for Global Education held “Unpacking Your Study Abroad Experience” in the Center for Faith and Vocation blue house. The event gave students a chance to talk about their time abroad and back on campus. Maria Gulan, a junior marketing and Spanish major, studied abroad in Alcalá de Henares, Spain, last semester, and she attended the event. Gulan said the hardest transition back from her time abroad in the Spanish immersion program was getting used to speaking English again. For Nick Trifelos, a junior international business major, the most difficult part of his transition was adjusting back to the quick pace of American life after studying abroad in Trieste, Italy. Trifelos also said the event allowed him to reflect on the parts of his experience that were not the best. Claire Paciga, a sophomore pharmacy major who studied abroad in Ireland, said the event was very relaxed. Paciga also said it was nice to meet with other people who were abroad. Not all students spend a semester in a different country. Drew Soukup, a junior arts administration major, studied in Washington D.C. last semester. He had an internship at the Kennedy Center where he would work on artist negotiations and at night, meet the talent. Soukup said that his study abroad experience has inspired him to get off campus. The Center for Global Education will be holding an information session Feb. 11 in Jordan Hall 141 at 6 p.m. for students interested in learning more about opportunities to study abroad.